Daryl Johnson (Worcester Park, United Kingdom) on 31 March 2019 in Transportation. The 500-series shinkansen was the latest thing when I moved to Japan in 1997. Now, this futuristic-looking train has been relegated to the "slow", non-express Kodama service. I will be away for a couple of weeks now, back to Japan for our annual holiday, where I hope to get lots of cherry blossom photos - see you in April! Ah, yes, progress waits for no-one . . still looks the business, though. Have a safe trip. @Ronnie 2¢: Thanks Ronnie, catch up with you soon. 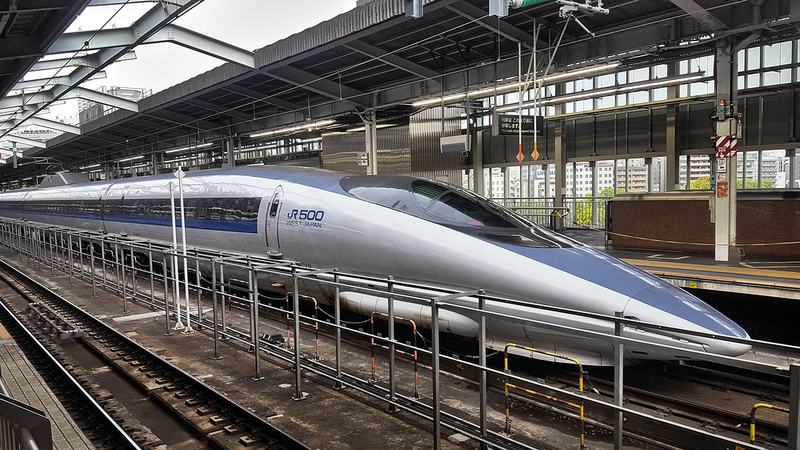 By far the finest looking shinkansen. Enjoy Japan! I still admire these "slow" trains. Any shinkansen is a good shinkansen. A very cool photo.